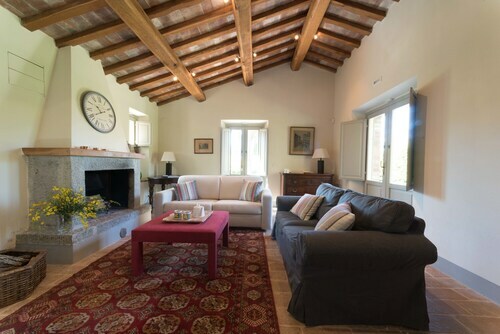 Situated in Pienza, this farm stay is close to Palazzo Comunale, Palazzo Vescovile, and Museo Diocesano. Local attractions also include Palazzo Piccolomini and Piazza Pio II. How Much is a Hotel Room in Pienza? Hotels in Pienza start at $63 per night. Prices and availability subject to change. Additional terms may apply. If you're seeking nice hotel establishments in the area around Pienza, it's good to know that there are many different options on offer. With the assistance of our comprehensive booking pages, you can research 77 accommodation choices within a 6-mile (10-kilometer) radius of the heart of Pienza. Pienza's downtown area is a morning stroll from Travelocity-listed rooms like Hotel Corsignano and Piccolo Hotel La Valle. The Palazzo Piccolomini and the Cathedral of Pienza are well-liked Pienza attractions and many travelers choose to book accommodation in the surrounding area. The Hotel Relais II Chiostro di Pienza and the Antica Locanda are two of the hotels that are in the vicinity of the Palazzo Piccolomini. The Albergo Rutiliano and the B&B Il Rossellino City View are close to the Cathedral of Pienza. More economical places to stay in and around the Pienza region are Albergo Rutiliano, Agriturismo Torre Vecchia and B&B Il Rossellino City View. 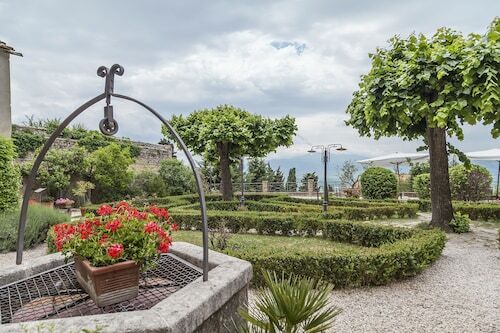 It's worth checking out the Castello di Velona SPA Resort & Winery along with the Adler Thermae Spa & Wellness Resort. The Castello di Velona SPA Resort & Winery is located just 10 miles (16 kilometers) away from the main part of Pienza. 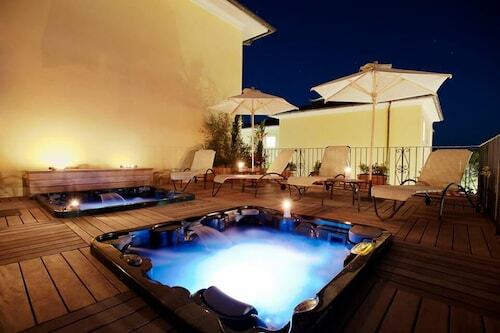 The Adler Thermae Spa & Wellness Resort, is situated only 4 miles (7 kilometers) away. Other possible hotels and apartment options are the Fonteverde and the Villa Armena. Once you have spent some time in Pienza, why not explore a bit further afield? The Tuscany region is home to plenty of attractions. Discover Tuscany's ruins and also photograph the area's rural landscapes, beaches and coastal plains. Common activities in this particular region of Italy include snowboarding, skiing and snow shoeing. 40 miles (61 kilometers) from Pienza, you can find Val d'Elsa, which is where you'll find Archeological and Collegiate Church Museum and Torre Rognosa. 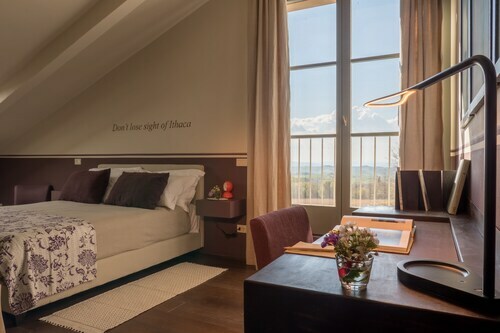 The Tenuta Di Mensanello and Torraccia di Chiusi are just some of the convenient accommodation options in Val d'Elsa. 6 miles (10 kilometers) southwest of Pienza, you'll reach Val d'Orcia, home to the Hotel Osteria Dell Orcia and Locanda del Loggiato. While visiting Val d'Orcia, be sure to visit the Collegiate Church of San Quirico and Palazzo Chigi. Peretola Airport is a convenient arrival point for air travel, and is found 55 miles (91 kilometers) outside the heart of Pienza. Conveniently located hotels are The St. Regis Florence and The Westin Excelsior, Florence. We had a fabulous visit. The location is very special with sweeping views of the valley and a beautiful hotel garden with a swimming pool. The staff are very friendly. Breakfast is at the hotel and although lunch and dinner service are not provided there is a beautiful 10 minute walk to reach the town of Pienza and many restaurants. We will come back again!